Come summer, and the cucumber becomes one of our favourite ingredients to beat the scorching heat. The slender veggie not only has incredible hydrating properties, it is also packed with vital nutrients that help in keeping the body cool. And the best part: it is unbelievably low in calories, because it contains 95% water, which make them an extraordinary choice to shed those extra kilos. They are also an essential part of several beauty care regimens. In India, you will often see street vendors selling slices of cucumber sprinkled with black salt and red chilli powder. Have it on a hot afternoon and there’s nothing more refreshing. Cucumber commonly features in salads across the country as well – it is neatly sliced and arranged with carrots, tomatoes, onions and even radish to make what is popularly known as Green Salad, or chopped and tossed with other veggies to make Kachumber Salad, with a refreshing chilli and lemon dressing. Another summer cooler that is often teamed with it is curd, to make raita. Mix spoons of it with your afternoon dal-chawal meal or home-made pulaosand biryanis, and it will instantly cut out the richness. 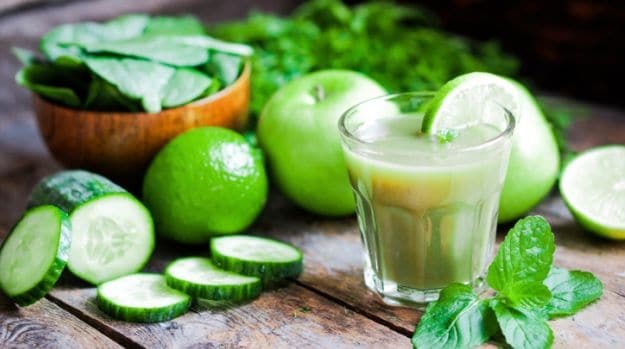 And if you are up for some experimentation, there is no dearth to the number of recipes you can dish out in your kitchen – from cucumber rolls and granitas to cold soups, pickles and juices. 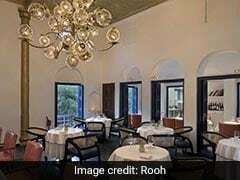 What makes it such a hit, is of course, the crunch that it lends to the dishes, and also the juicy flesh which effortlessly soaks in myriad flavours. 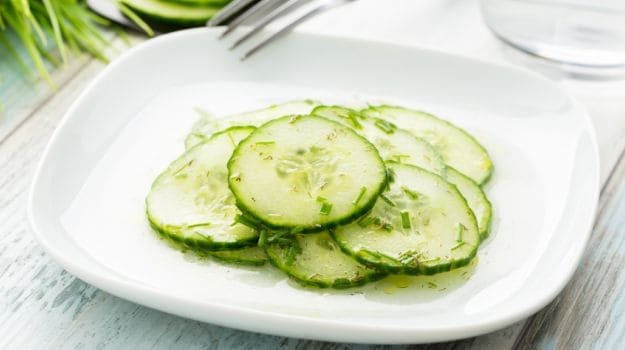 If you have grown up in a household where during meals or family feasts, the children’s duty was to make the salad, you will know that peeling a cucumber takes some skill. This is because of a white foamy content called cucurbitan which tends to make the flesh bitter. Traditionally, it was always advised to first chop one slice off the edge and rub it for sometime to remove the foamy content, and then wash and carefully peel the veggie. According to vegetable breeder Jim Myers of Oregon State University, "wild cucumbers contain relatively large concentrations of cucurbitacin and are highly bitter, while their domestic cousins we grow in the garden and buy in the store, tend to have less but varying amounts of the bitter compound." 1. 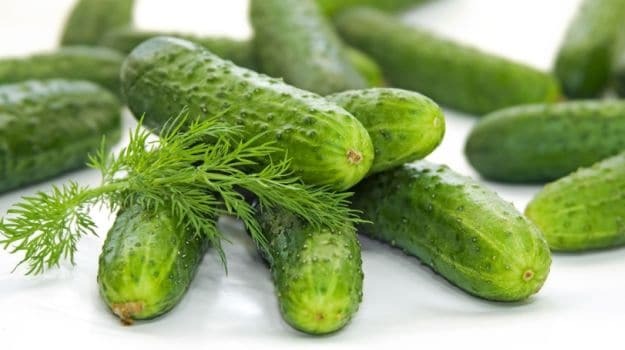 Firm and Green: While buying cucumbers, pick the ones that have a dark green coloured skin and are firm to touch. The lighter shades tend to be the older ones, which lack the crunch and freshness. 2. No Sponge Please: Forget what others have to say, but pick up and feel the vegetables when you go shopping. Doing so will help you examine if there are any spongy spots, which means that they are not fresh. 3. The Wax Issue: Unfortunately, in order to make vegetables last longer, many growers tend to apply wax on the skin. So inspect the cucumbers well, using your nails to check. 4. Small and Slender: Pick cucumbers that are small in size and slender in shape. The smaller varieties are fresher and known to contain lesser seeds. 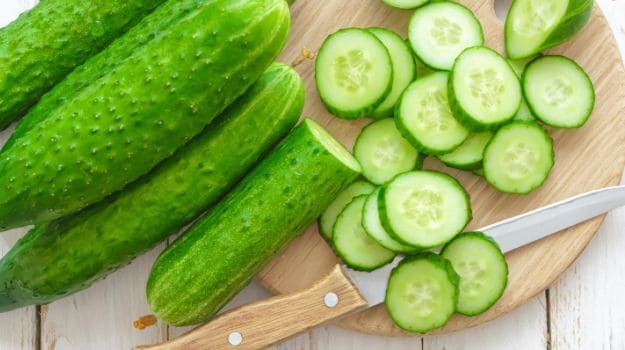 Cucumbers tend to lose moisture easily, which is why the way you store them can make a huge difference. When you buy cucumbers, always keep them in the refrigerator by placing them in a plastic bag. It is also advisable to keep them in the front side of the vegetable rack to retain their moisture rather than stacking them towards the back. Also, don’t buy in bulk and ensure that you consume them within two to three days of purchase.